European first millennium BC studies have witnessed an increasing theoretical divide between the approaches adopted in different countries. Whilst topics such as ethnicity, identity, and agency have dominated many British studies, such themes have had less resonance in continental approaches. At the same time, British and Iberian first millennium BC studies have become increasingly divorced from research elsewhere in Europe. While such divergence reflects deep historical divisions in theory and methodology between European perspectives, it is an issue that has been largely ignored by scholars of the period. This volume addresses these issues by bringing together 33 papers by leading Bronze Age and Iron Age scholars from France, Spain, Portugal, Belgium, Ireland, North America, and the United Kingdom. Initial chapters from leading specialists introduce major themes (landscape studies, social organisation, historiography, dynamics of change, and identity), providing overviews on the history of approaches to these areas, personal perspectives on current problems, and possible future research directions. 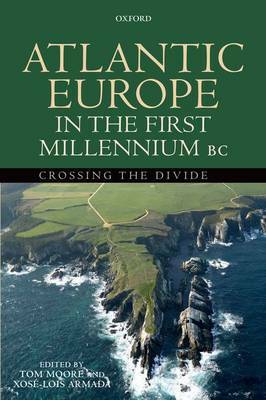 Subsequent chapters by key researchers develop these topics, presenting case studies and in-depth discussions of particular issues relating to the first millennium BC in the Atlantic realm of Western Europe.